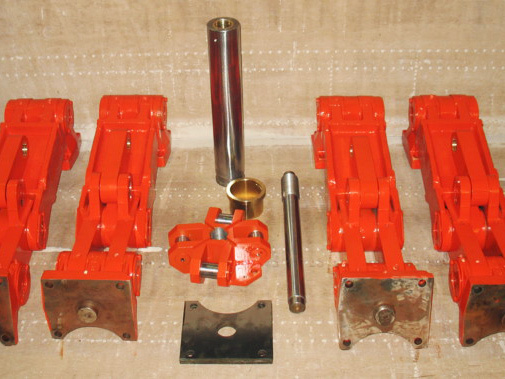 A Plus Machine can manufacture new crosshead and linkage or toggle packages from one link to the complete linkage or toggle system including crosshead. We can manufacture to an in-house print, the customer’s print or from the existing customer linkage or toggle component parts sent to our facility. Another option for the customer is a linkage or toggle rebuild with new pins and bushings.